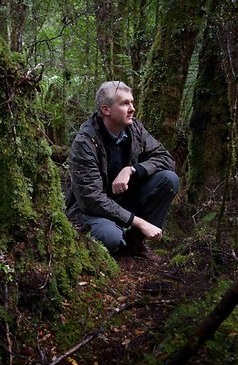 Environment Minister Mark Butler has flown over a proposed mine site in Tasmania’s Tarkine region, a project he is set to make a decision on in the coming days. The $20 million dollar iron ore proposition was knocked back by the Federal Court last week on the basis the previous Minister had not given due consideration to the Tasmanian devil populations threatened by the Shree Minerals operation. Mr Butler has been criticised for not actually landing on-site or physically inspecting the conditions. Save The Tarkine's Bob Brown says the flight over the planned mine site did not give him enough of a feel for the proposal: “It's disappointing that the Minister for the Environment didn't have time to actually get into the Tarkine and see why it is so important... I think he needs to before he can make an adequate decision on the place and certainly an open-cut mine that could swallow up the Sydney Harbour Bridge is an invasive impact,” the former Greens leader said. Mr Butler’s fly-over was arranged by the company contracted to build the mine. The Tarkine region is home to the country's biggest expanse of cool temperate rainforest, but it has also been a stronghold for the mining industry since the 1870s. Conservationists say their efforts to stop the mine from being built will not cease, but they are facing opposition too. Reports say there have been three pro-mining rallies since November, hindering local environmentalists' fight to have the forest declared a World Heritage site. The multi-pronged debate is set to continue into over the weekend, with a decision expected from the Environment Minister some time next week.